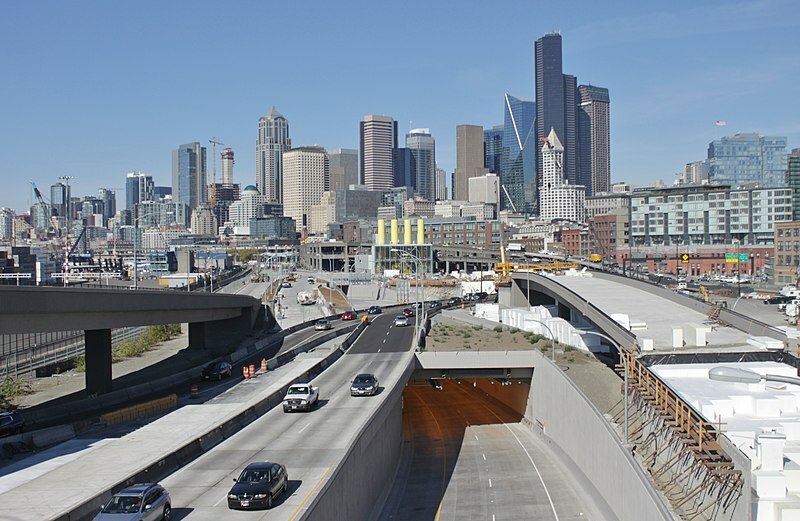 WSDOT is to open the new SR 99 tunnel in Seattle. Credit: SounderBruce. The Washington State Department of Transportation (WSDOT) is set to open the $3.3bn two-mile SR 99 tunnel for motorists in Seattle, US. The double-decker tunnel will carry State Route 99 (SR 99) under Downtown Seattle from SoDo in the south to South Lake Union in the north. Reportedly the longest road tunnel in the US, the structure was built to replace the 60-year-old Alaskan Way Viaduct and can withstand a nine-magnitude earthquake. WSDOT Transportation Secretary Roger Millar said: “This is a game changer. Our number one goal was to remove a vulnerable structure from our highway system. “Along the way we reshaped a major transportation corridor that is a key component of the multimodal transportation system we and are partners are building for the Puget Sound region. Construction on the new tunnel project started in July 2013. ‘Bertha’, the then-world’s largest-diameter tunnel boring machine was used to dig the tunnel and construction completed in April 2017. The tunnel was constructed by Seattle Tunnel Partners under a design-build contract and was completed three years behind schedule. It has been designed with fire suppression, as well as air monitoring systems and can slash vehicular emissions. In addition, the tunnel features a control centre operating around the clock with direct lines to emergency responders.